The French Macaron - not only is it this stunning little delectable cookie, but also it’s French and has the most difficult name to pronounce. It’s like meeting a gorgeous, mysterious French woman named Amélie who you really want to be friends with, but let’s be honest, you don’t know French, let alone how to say her name correctly! 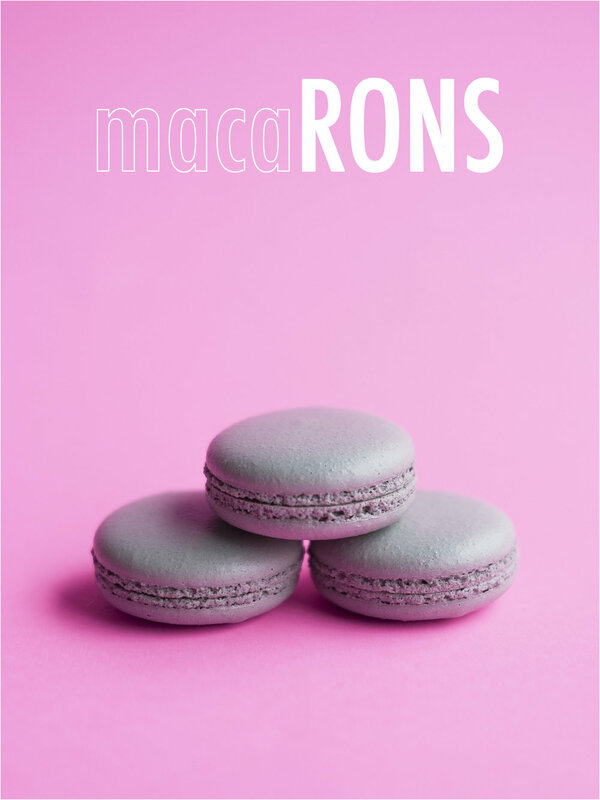 Well guess what, it doesn’t matter how you pronounce the name - Macaroon, Mac, Macron. Okay, maybe don’t go calling Amélie just anything, that might be rude, but you get what I’m saying. Macarons are like the French cool-girl of the pastry world. At least that’s how I like to look at it. My point is, you would literally be missing out on the most mouthwatering, melt-in-your mouth dessert out there just because you were worried about saying a name wrong! Let’s get one thing straight though. You may call her MacarOOn, but let’s make sure these lovely ladies aren’t being confused with another dessert. The French Macaron is a brightly colored cookie consisting of two “shells” that look like rounded discs with a filling sandwiched between the two. The shells are made of almond flour, powdered sugar and a meringue that consists of egg whites and granulated sugar. The filling is usually either a buttercream, ganache or jam. The filling and, sometimes the shell, allows for an endless amount of flavor options! When biting into a French Macaron, you will notice that it has a light, crispy texture on the outside followed by a soft, melt-in-your mouth center. The Macaroon (that’s spelled with two O’s) is a small drop cookie that is usually coconut based and, like the French macaron is also made of egg whites. This is what also gives this cookie a light texture, but is more fluffy with a crunchy outside and chewy center. It is sometimes drizzled with chocolate. Obviously, I’m pretty partial to French macarons, but let’s be real, there’s no competition. French macarons are way more tasty! Come taste for yourself at Cafe Disco in downtown Oklahoma City and try a “Mac and Capp” pairing that’s pictured below. I like to dip mine in my cappuccino. Just think of it as a fancy Oreo and milk situation. There’s nothing better!